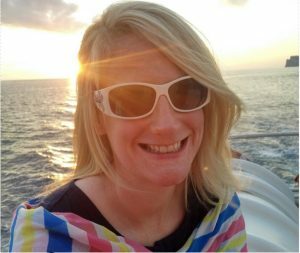 When my three children were tiny babies I brought them swimming, like most mums do, and I noticed then how many babies had sensitive skin and baby eczema. I saw many parents struggling for solutions and realised that eczema had become much more common, affecting one in four babies today, compared to three in a hundred only two generations ago. One of my own sons had very sensitive skin as well as asthma (which can be linked). He played rugby all the time and managing his skin was hard work. Getting all the mud off meant a lot of scrubbing, especially around the backs of knees and in arm flexes, which is not great for sensitive skin. That said, rugby was and is his priority, not his skin. Lucky for him, Mummy was in the right line of work! I noticed also that eczema was a growing problem among my friends’ children and saw up close how much genuine stress it causes. Some cases are worse than others, of course, but I have never met a parent who wasn’t literally trying everything they could to make it better. We completely underestimate what happens when the skin barrier stops functioning and skin becomes red, heated and itchy – as happens when eczema develops. Skin sensitivity is hard work to live with because, simply put, an itch is the lowest form of pain and it can affect the confidence of both parents and children. My grandfather Joseph, who started Elave, was a commercial sales traveller originally based in Newry. His main interest was to raise his family through tough times and he travelled the length and breadth of this island doing just that. He was savvy as well, however, and quickly spotted an opportunity. At that time, chemists mixed creams, potions and lotions in the back of the shop, which was messy work. So, in 1934 in Dundalk, my grandfather started Ireland’s first Manufacturing Chemist dedicated to making apothecary family skincare creams. I am one of his 28 grandchildren and the only one called after him, albeit a feminine version. To this day, we still supply our products to pharmacies – and I use them to look after my own skin, of course! Although Elave was created for sensitive skin, it is perfect for all skin types. It helps me avoid all the unnecessary chemicals in everyday shampoos and shower gels and facial skincare products that leave a residue which ultimately dries and ages skin. My skincare is very stripped back. I use the proven active ingredients provided by our facial range, Elave dermo-renew, and I am fanatical about using UV sunblock every day to protect against environmental damage. In fact, I created vitamin-enriched Elave daily skin defence spf 45 as I couldn’t find a sunblock that didn’t make me look like a ghost, which is not a good look! Good skincare starts in childhood. I go back to parents who are usually trying to avoid steroids while struggling to choose the right product in the very confusing world of skincare. While prescribed steroids are essential in some cases to get eczema skin under control, I believe a simple daily skin routine can significantly reduce the flare-up common to eczema. We forget that shampoos run down the entire body – and into the bath, in the case of babies. Shampoos, even baby versions, are just not gentle enough. Moisturising twice a day, using a ‘cake icing’ layer to repair the skin barrier, is well understood – but it is very hard work with a baby or toddler with sore skin. I have seen first-hand children crying when they see the pot of moisturiser coming out. I feel for parents wrestling with that situation and I have tried to create everyday solutions that are easy to use while still being effective. Eczema in babies tends to develop around 2-3 months of age. It is largely hereditary and there is no cure, but there are ways to help improve the condition and reduce irritation. Firstly, make sure you have a correct diagnosis that the condition is eczema. Use a soap free emollient product for baby as many baby bath formulas are not suitable. Don’t go the water-only route, as this has been shown to dry the skin further, particularly in hard water areas. With severe eczema, bathing is paramount in fighting infection. There are specific products that have been designed to fight infected eczema. Keeping baby’s skin moisturised can help reduce discomfort. You may need to apply an emollient several times a day, certainly after bathing, and do use only cotton garments. Reuben and I have tried the products and we LOVE them! 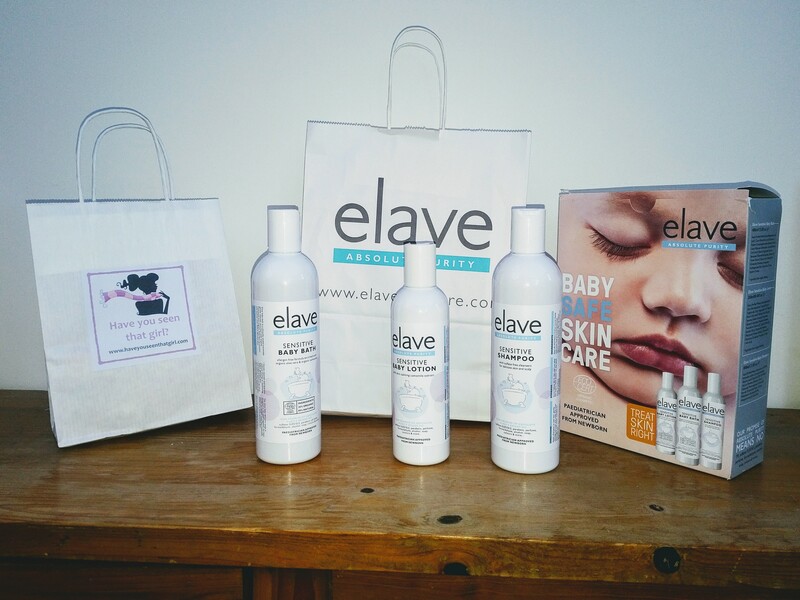 I am therefore delighted that Elave have sent donations of their shampoo, baby bath and intensive cream for the Bags of Hope – thank you! On another very exciting note – Elave is also currently partnering with TinyLife, Northern Ireland’s premature baby charity, in a bid to boost much-needed funding. 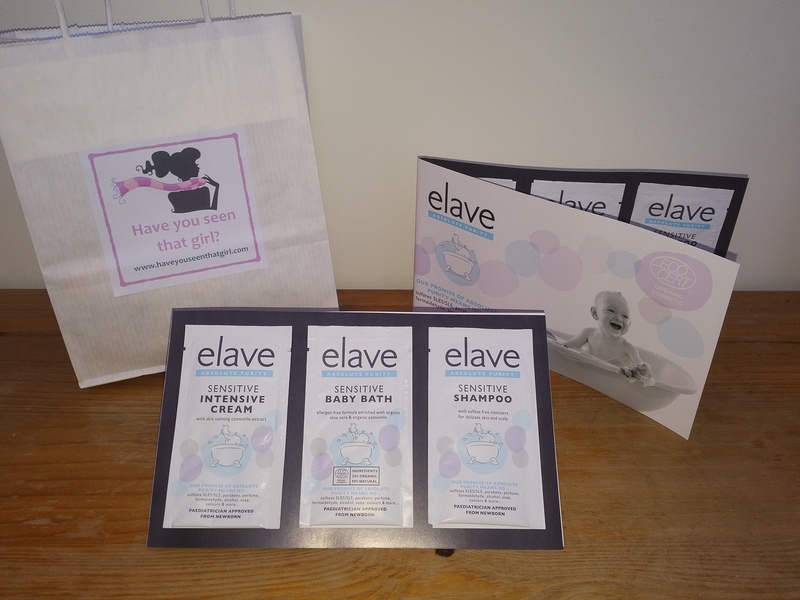 The charity, which provides support for up to 1,800 premature babies born every year, will receive £1 from every special limited edition Elave Baby Gift Pack sold online and through facebook. The limited edition Elave Baby Essentials Pack, with a special offer price of £17.95 (usual rrp £25), will be sold through TinyLife facebook, the Elave online shop and Amazon UK, with £1 from each pack sold going directly to TinyLife’s coffers. Paste and click on https://goo.gl/H57YeD to purchase on the Elave website or paste and click on https://goo.gl/5nCxMw to purchase on Amazon UK.